Business cards are essential for any business owner. They’re the fastest way of sharing important contact details and they create a sense of professionalism for your business. Making sure your card is clear and easy to read is crucial if you want to hear back from your contacts. Here’s how to make your own. The bottom three are optional, but adding these details is becoming more and more common, especially if your business has a strong online presence. Once you’ve gathered your key information, created a logo and know your brand colour scheme, all that’s left to do is to start designing. Follow these steps to create a clear business card design. Classic business cards measure 85mm x 55mm and have straight or rounded corners. They’re the perfect size for fitting in your wallet or business card holder and are ideal for professional businesses looking for a traditional style. Want something a little different? Mini business cards are half the height of regular ones, meaning you have plenty of opportunity to play around with the design. Folded business cards are another great option, especially if you offer an appointment service – they’re very roomy! The beauty of modern online printing is the choice of stock (paper types) you can choose from. The kind you choose will depend on your budget and business style. Premium business cards are thick at 450gsm. You can add loads of different laminations to create your desired effect. These are special coatings that give your card a specific feel – e.g. velvet lamination gives a soft, almost fuzzy touch and deepens the colours (it’s very luxurious!). If you want your card to double up as a loyalty card or appointment card, we recommend an uncoated paper to make it easy to write on and stamp. If your business is known for being environmentally friendly, or you just prefer to send greener communications, you can also choose recycled paper. Kraft is a brown, rustic paper which is great for restaurants, cafes and crafty businesses whose branding suits this style. On our premium cards, you can also choose to add a layer of Spot UV to your design. This creates a slight raise in certain areas and is great for making features of your business card, like your logo and contact details, stand out. You don’t need to be a graphic designer to use it either. We have loads of free Spot UV business card templates you can use! Simply choose the Spot UV option upload these templates along with your design before you order. If you’re not sure where to begin your design, start with your logo. Traditionally, logos are the main image of any business card design and any other graphics are secondary to this. We recommend going double-sided with your logo on one side and contact details on the other. 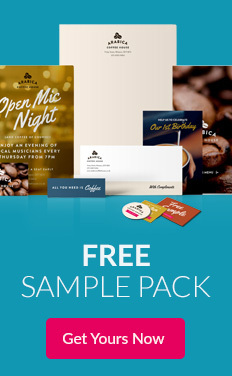 Although it’s also great for boosting brand recognition to feature your logo on both sides of your card. Have a play around to work out what you prefer the look of. Choosing the right typography for your business card design comes down to three key things: font, size and colour. To maintain readability, it’s a good idea to go for one main font. Ideally, contact details should be in a sans-serif font (no decorative ‘serifs’), but fancier fonts, like script fonts, can work really well for your logo. All text should be no less than 8pts in size. A glance should be all your contact needs to be able to read your business card. Using your pre-existing brand guidelines, pick out a couple of complementary colours to use for your design. Make sure these colours go well with your background colour and that they contrast enough to make your card easy to read. We understand that space is limited on your business card, and it might seem like a good idea to fill your entire card with details. However, including white space (or negative space) in your design is the key to creating a clear, easy-to-read format. This space doesn’t necessarily have to be white – it’s blank areas on your design that help direct your reader’s attention to the important bits of information. With over 1 billion active monthly users, the rise of Instagram as a business platform is undeniable. Including your handle on your business card is a fantastic way of directing people to your account. How you add your social media accounts to your card depends on your audience. If they’re tech-y, QR codes are a fun way of linking your account. You can also add the Instagram icon followed by your username (e.g. @instantprintuk). This allows people to search for your account through the app or website. 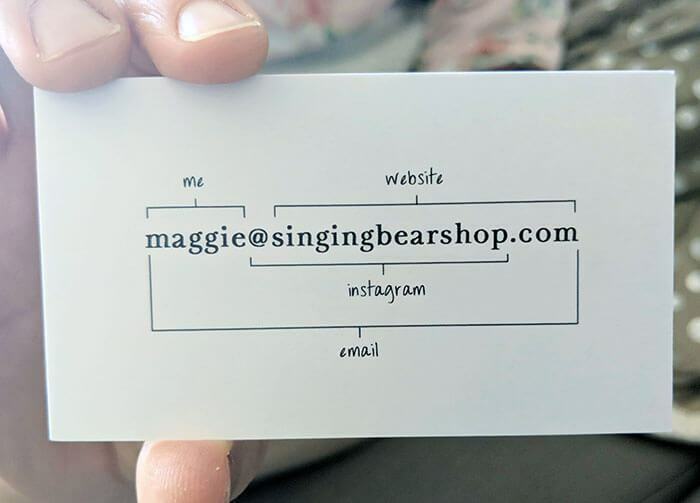 We love how Maggie at Singing Bear Shop has creatively incorporated all of her important information in one line. Using our free design tool? We have all the popular social media icons in our ‘shapes’ section, meaning they’re really easy to add! 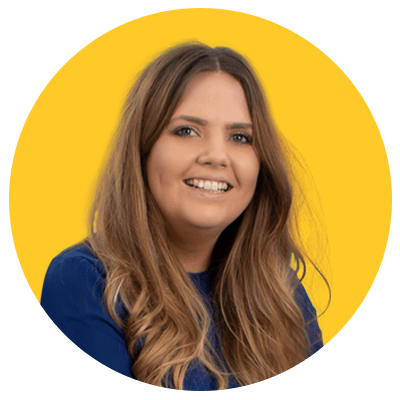 We hope this blog gives you everything you need to create your own successful business card design, and has answered any questions you might have about what information to use. 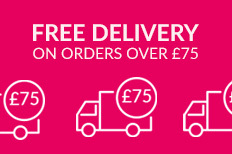 If you still have questions, get in touch with our team on live chat via the website, or on Twitter and Instagram at @instantprintuk and we’ll be happy to help.